Suman Ambwani. Photo by Carl Socolow '77. 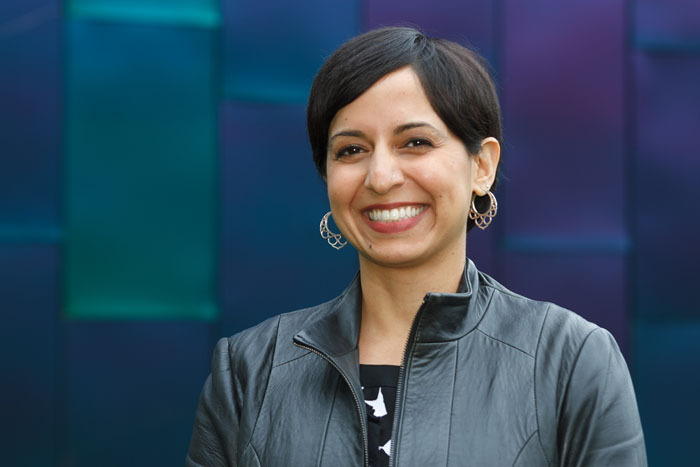 Associate Professor of Psychology Suman Ambwani—noted scholar and researcher in the field of anorexia nervosa and eating-disorder interventions—has been selected as one of 83 faculty members throughout the U.S to receive the 2015-16 Exemplary Teacher Award from the General Board of Higher Education and Ministry, Division of Higher Education. The award includes a certificate of appreciation and monetary prize. It is presented annually to outstanding educators from United Methodist-related institutions. Dickinson is one of 109 institutions invited to select a member of its faculty for the annual award, which values excellence in teaching; civility and concern for students and colleagues; commitment to value-centered education; and service to students, the institution and the community. Last year, Susan Rose, the Charles A. Dana Professor of Sociology and director of the Community Studies Center, became Dickinson’s inaugural recipient of the Exemplary Teacher Award. Ambwani also was honored during Commencement, when John Dinsmore (international business & management), president of the class of 2016, announced that she was this year's recipient of the Constance and Rose Ganoe Memorial Award for Inspirational Teaching. Awarded annually, the honor is determined by a secret-ballot vote conducted by members of the graduating class. Ambwani came to Dickinson in 2008 as an assistant professor of psychology and was awarded tenure in 2015. During the 2012-13 academic year, she served as fellow and visiting researcher at the prestigious Institute of Psychiatry at King’s College London, and she continues to conduct research on eating disorders with collaborators there. In service to Dickinson, Ambwani is a member of the strategic planning committee and chairs the all-college research and development committee. She also is faculty advisor to the Dickinson chapter of Psi Chi and the international honors society in psychology. In 2014 she was named advisor of the year by the Division of Student Life for this work. Her current research focuses on the development and evaluation of guided self-help interventions for people with anorexia nervosa and understanding etiological and maintenance factors for eating-related psychopathology. Her work has won the support of the National Institute for Health Research, and she has authored or coauthored more than two dozen journal articles, book chapters and manuscripts. She also has presented worldwide on the topics of anorexia nervosa, body image and treatments, and interventions for eating disorders.